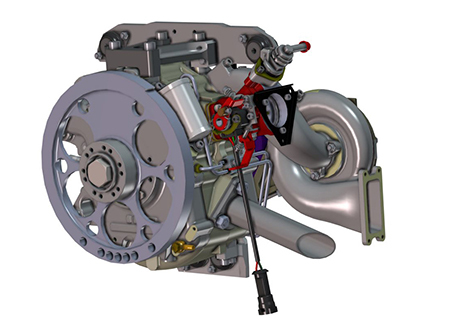 The AR801 is a highly optimised, light-weight, single rotor, liquid cooled engine. 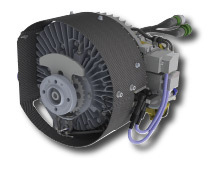 It has the facility to mount alternators between 0.9 to 2.0 kW. 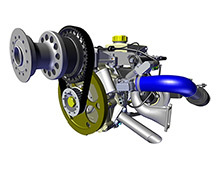 It has been designed and developed specifically for existing and future drones and UAVs requiring 35 to 60 bhp, with direct drive to propeller or vehicle gearbox. 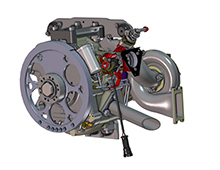 ENGINE TYPE Wankel-type rotary, single rotor engine. 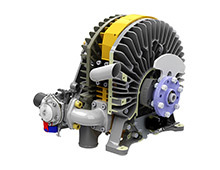 CAPACITY Single rotor – 294cc. 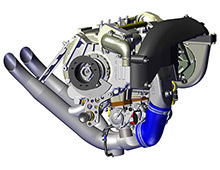 POWER OUTPUT 40 bhp at 6,000 engine rpm. 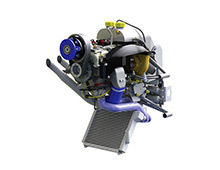 Alternatively 51 bhp at 8,000 rpm (carburettor); or 60 bhp at 8,000 rpm (EFi). DIRECTION OF ROTATION Anti-clockwise (looking at prop flange). FUEL CONSUMPTION 0.50lb/bhp hr at 70% cruise = typically 2.0 imp gallon/hr (2.5.0 US) 0.56lb/bhp hr at maximum power. IGNITION SYSTEM Electronic 28 volt duplicated CD system with magnetic triggering firing twin spark plugs.